K&N Engineering achieves so much partly because it has its own dedicated garage area specifically designed to test out the equipment. This particular arrangement lets it use the same technology in race cars as it does in the average car. This allows K&N to tap into its racing heritage as inspiration. K&N starts with huge rolls of cotton gauze, like that found in medical supplies. It runs four or six layers through an epoxy coated screen mesh on either side that then go through a pleating machine and get cut to length before being rolled up. From there, they become filters. Amazingly enough, this filter material was created by K&N about 50 years ago, allowing for high-flow filtration while protecting the engine. The CNC shop is where K&N makes the molds that are used to make the filters. The machines in this shop mill out a negative mold for the filters. Each mold is part-specific for its own filter. Once molded, it is combined with the pleating to make a finished filter. The more common type of panel-style and drop-in filter is injection molded. The nozzle injects the correct material into the teeth of the molds. 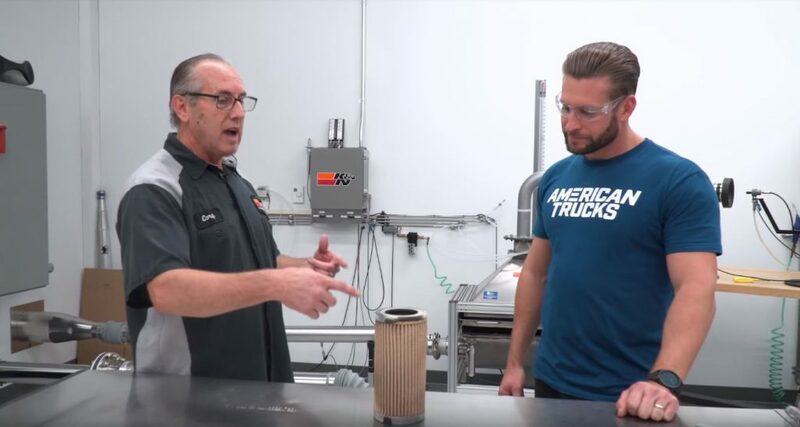 This process creates an excess that then needs to get cut off to create the proper filters. After producing the filters, they get oiled, which is when they receive their signature red color. The machine dispenses a pre-measured quantity of oil based on the filter type and other factors. The oil slowly spreads throughout the filter, so it does not matter where on the filter the oil lands. 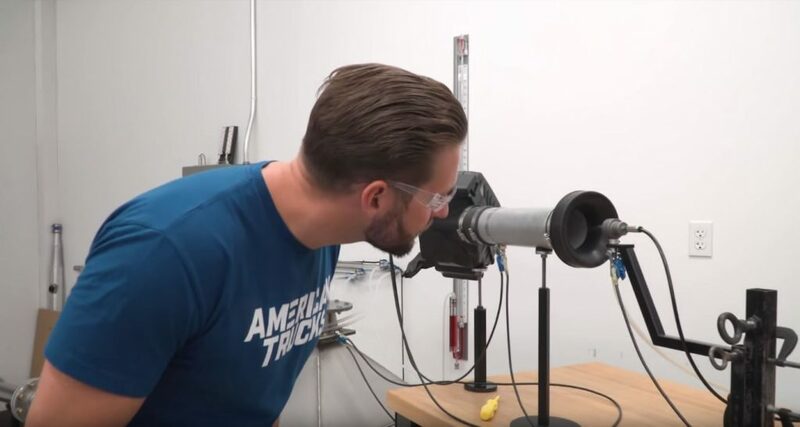 The process to create the aluminum tubing for intakes starts with raw 20-foot pieces of aluminum tubing. They are cut to the proper size and then placed in a machine that bends them to create the ideal air flow. 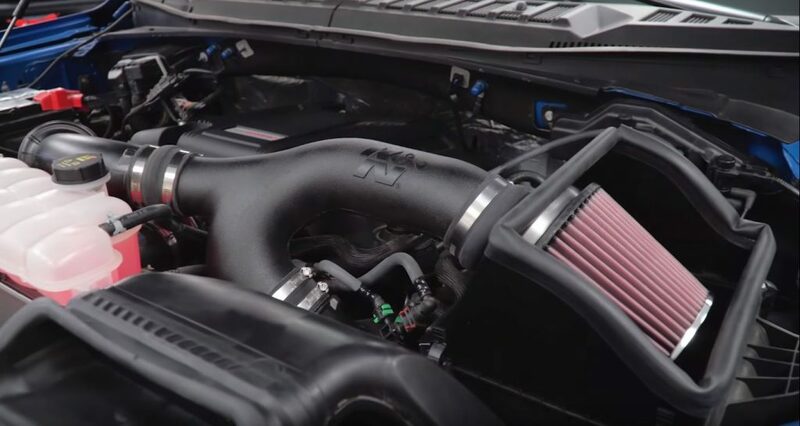 K&N uses aluminum because it is not heat-sensitive, so this delivers the best possible cold-air performance as a way to maximize horsepower. After bending the tubes, K&N adds in the other elements like the airflow sensors. It also sands and deburrs the exterior of the air intake to remove any hard engines. From there, the tubes get polished and receive a powder coat. The heat shields also undergo the same process as these aluminum tubes. Rotomolding is the technique used by K&N for the plastic tubes. This involves using giant cast aluminum tubes filled with material. The machine then spins the tubes around, heating and curing them to create the cold-air intake system. Next, K&N takes them out and cuts them down to open up each side. This part of the process also takes place in the original K&N building. The filtration lab is where K&N performs testing to confirm that everything meets industry standard. The lab can simulate environments that drivers would experience to ensure the filters are up to the task.